The ALST460 is a single use tactical stun munition that produces approximately 175 dB at 5 feet, and emits 6-10 million candela. In addition to the light and sound, the ALST460 produces a significant pressure wave that adds to the disorienting physiological effects. 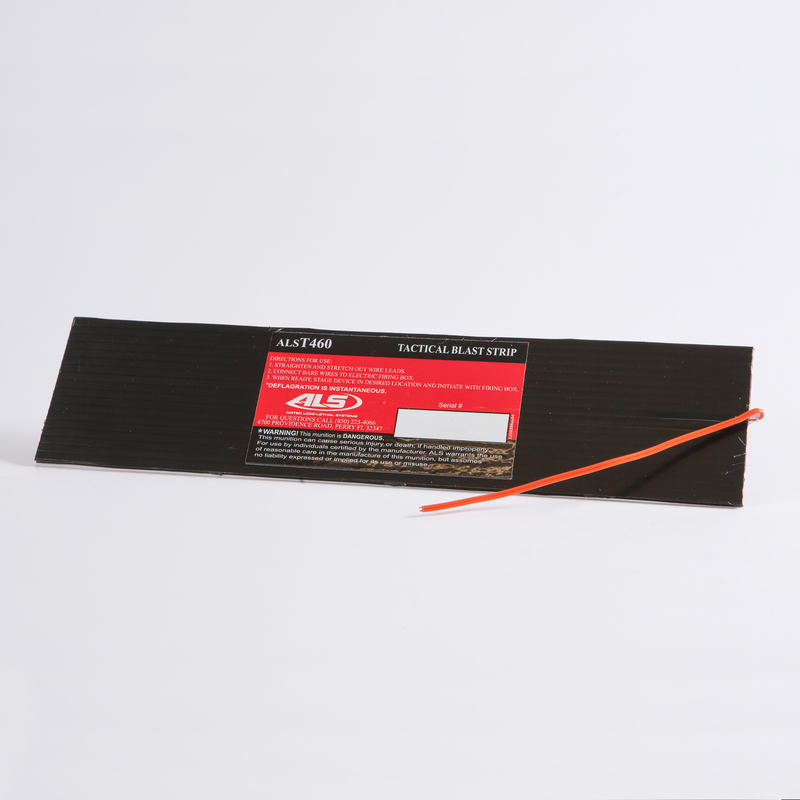 The ALST460 comes with a 5 yard electric match and requires an electric initiator. EXPORT NOTICE: This is an item controlled for export by the Export Administration Regulations (EAR). These controls take the form of export regulations and license requirements. As part of the express consideration provided for receipt of AMTEC LESS-LETHAL SYSTEMS goods, technical data and/or services, you, our customer, acknowledge that the export, re-export or other transfer, directly or indirectly, of the goods, technical data and/or services provided by AMTEC LESS-LETHAL SYSTEMS in violation of U.S. law is prohibited. Customers acquiring EAR controlled goods, technical data and/or services from AMTEC LESS-LETHAL SYSTEMS shall be responsible for obtaining any necessary U.S. or other government authorization required to ensure compliance with applicable export laws.